Small groups, central locations, accredited by the British Council. Top UK boarding schools and universities, exciting activities, close supervision. Professional teacher development, experienced trainers, modern approach. Latest technology, qualified UK-based teachers, immediate results. Learn English at our year-round schools in some of the UK's most exciting cities. CELTA, Delta, Overseas Teacher and tailor-made teacher training courses. Language solutions for individuals, businesses and educational institutions. Learn English playing beautiful football – train at the home of Manchester City. University pathway programmes specifically designed for international students. London, the UK's iconic capital. Study in London. Live London. Love London. This incredible city will help shape your future. Filled with culture, fun and local London life, your Hampstead experience will be both truly international and classically British. Oxford, the UK's no.1 student city. 40,000 students and 39 historic university colleges make Oxford a magical place to study English. Brighton, the UK's coolest city. Outdoor living, walking on the beach, sitting on a café terrace, exploring designer shops – heaven! Voted one of the world's friendliest cities and Top 10 Best Cities in Travel, Manchester is an exciting hub of sports, creativity and technology. Small and friendly, the city of York is bursting with history, from its narrow cobbled streets to its ancient city walls. Scotland's friendly capital city with its beautiful panorama of chimney tops, green hills and blue sea. Wide range of Teacher Training courses, attractive environment and high-quality resources. Our teacher training centre in Oxford offers a wide range of TEFL courses including CELTA, Delta, Overseas Teacher Refresher and bespoke programmes. At BSC Brighton, we offer a selection of refresher courses for overseas teachers that take place in July and August. A vibrant, friendly and cosmopolitan city, Manchester is a great place to nurture your teaching career, whether you are just starting or would like to develop your career further. A small, beautiful city alive with culture and history, York offers an inspiring and welcoming setting in which to develop your teaching career. Develop your teaching career in Scotland's breath-taking capital city at our Edinburgh centre, offering excellent facilities in an ideal location. Exciting UK locations. Each of our schools has its own character and personality, and yet each follows the same BSC philosophy. 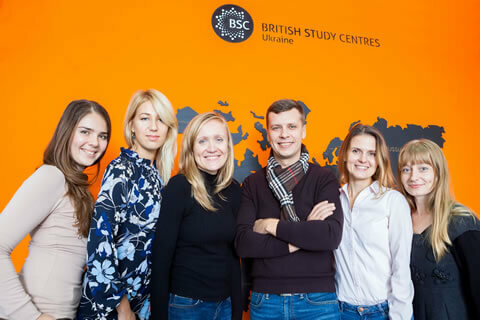 British Study Centres is a fast growing international educational group. 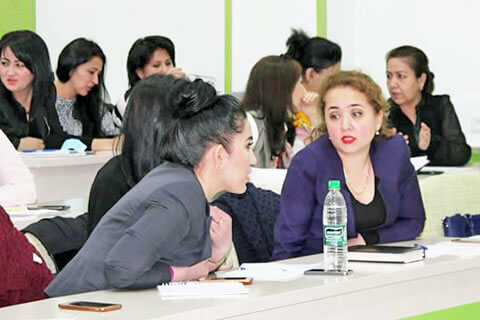 We offer franchise opportunities as well as design and delivery of teacher training courses for overseas institutions. We are devoted to opening up new opportunities and partnerships worldwide. High quality language schools worldwide may apply to become a British Study Centres franchise. Design and delivery of teacher training courses overseas. Clients include international private schools, universities and Ministries of Education.